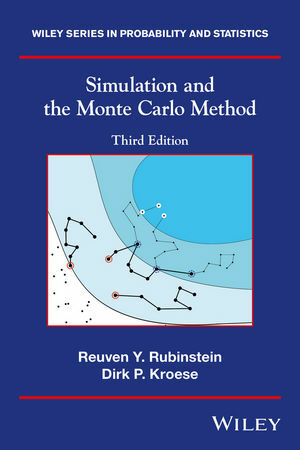 Simulation and the Monte Carlo Method, Third Edition reflects the latest developments in the field and presents a fully updated and comprehensive account of the state-of-the-art theory, methods and applications that have emerged in Monte Carlo simulation since the publication of the classic First Edition over more than a quarter of a century ago. While maintaining its accessible and intuitive approach, this revised edition features a wealth of up-to-date information that facilitates a deeper understanding of problem solving across a wide array of subject areas, such as engineering, statistics, computer science, mathematics, and the physical and life sciences. The book begins with a modernized introduction that addresses the basic concepts of probability, Markov processes, and convex optimization. Subsequent chapters discuss the dramatic changes that have occurred in the field of the Monte Carlo method, with coverage of many modern topics including: Markov Chain Monte Carlo, variance reduction techniques such as importance (re-)sampling, and the transform likelihood ratio method, the score function method for sensitivity analysis, the stochastic approximation method and the stochastic counter-part method for Monte Carlo optimization, the cross-entropy method for rare events estimation and combinatorial optimization, and application of Monte Carlo techniques for counting problems. An extensive range of exercises is provided at the end of each chapter, as well as a generous sampling of applied examples. Simulation and the Monte Carlo Method, Third Edition is an excellent text for upper-undergraduate and beginning graduate courses in stochastic simulation and Monte Carlo techniques. The book also serves as a valuable reference for professionals who would like to achieve a more formal understanding of the Monte Carlo method. Reuven Y. Rubinstein, DSc, was Professor Emeritus in the Faculty of Industrial Engineering and Management at Technion-Israel Institute of Technology. He served as a consultant at numerous large-scale organizations, such as IBM, Motorola, and NEC. The author of over 100 articles and six books, Dr. Rubinstein was also the inventor of the popular score-function method in simulation analysis and generic cross-entropy methods for combinatorial optimization and counting. Dirk P. Kroese, PhD, is a Professor of Mathematics and Statistics in the School of Mathematics and Physics of The University of Queensland, Australia. He has published over 100 articles and four books in a wide range of areas in applied probability and statistics, including Monte Carlo methods, cross-entropy, randomized algorithms, tele-traffic c theory, reliability, computational statistics, applied probability, and stochastic modeling. Reuven Y. Rubinstein, DSc, is Professor Emeritus in the Faculty of Industrial Engineering and Management at Technion-Israel Institute of Technology. He has served as a consultant at numerous large-scale organizations, such as IBM, Motorola, and NEC. The author of over 100 articles and six books, Dr. Rubinstein is also the inventor of the popular score-function method in simulation analysis and generic cross-entropy methods for combinatorial optimization and counting. Dirk P. Kroese, PhD, is Senior Lecturer in Statistics in the Department of Mathematics at The University of Queensland, Australia. He has published over fifty articles in a wide range of areas in applied probability and statistics, including Monte Carlo methods, cross-entropy, randomized algorithms, tele-traffic theory, reliability, computational statistics, applied probability, and stochastic modeling.